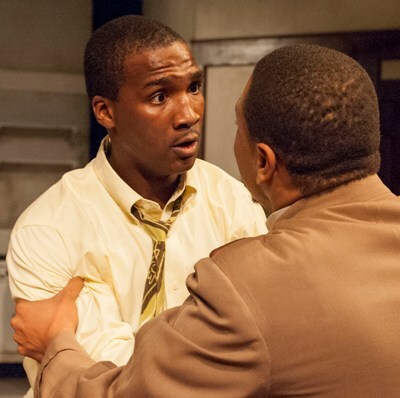 The disturbing thing about Lorraine Hansberry’s 1959 play “A Raisin in the Sun,” a sharply drawn portrait of America’s racial divide and one black family’s resolve to cross that chasm, is how current it still feels in the season-opening production at TimeLine Theatre, potently and humanely crafted by director Ron OJ Parson. Here’s an average family that simply wants a piece of the American dream that we all believe we’re entitled to. The Youngers live on Chicago’s South Side, in a dumpy apartment – a gem of well-worn reality by designer Brian Sidney Bembridge — hardly large enough for matriarch Lena, her grown daughter Beneatha and married son Walter with his wife and their young son. But opportunity arises from loss: Lena awaits a check for $10,000, the insurance benefit from the recent death of her husband. Perhaps like any family living hand to mouth that wins the lottery, the Youngers are torn by conflicted notions of how they might parlay their sudden good fortune into a slice of the dream. While Lena is noncommittal about the money, Beneatha wants a chunk of it for medical school. Walter sees that check as a once-in-a-lifetime chance to bust out – by investing the cash in a sure-fire business scheme he’s been cooking up with a couple of pals. 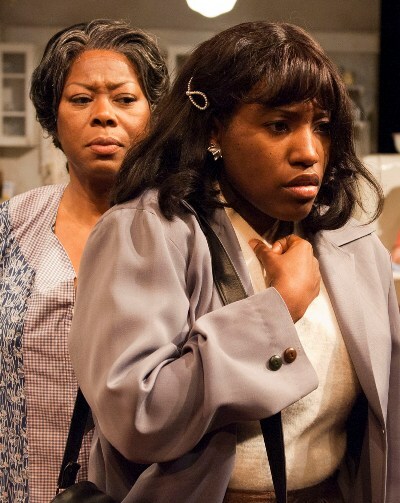 “A Raisin in the Sun” gets its dramatic impetus when Lena (played with world-weary dignity by Greta Oglesby) springs on the family, as a fait accompli, the purchase of a home in the very nice neighborhood of Clybourne Park. Never mind that Clybourne Park is all white. It’s a lovely little house and a safe place for Walter’s son to grow up. The brilliance of Hansberry’s play, and of this production, lies in the working-through of the turmoil Lena’s unilateral action creates. Walter (brought to passionate, seething life by Jerod Haynes) is outraged and utterly distraught as he sees his one real hope to become an entrepreneur, indeed The Man, dashed in an instant. At the same time, a different reality shows its ugly face. A white guy appears at the Youngers’ door, a representative of the Clybourne Park Neighborhood Improvement Committee. After dancing around the point, the visitor (given oily credibility by Chris Rickett) reminds the Youngers that truly happy people live among their own kind, and so he offers to buy back Lena’s newly acquired home at a profit to her. While the Clybourne Park emissary is rebuffed, at least initially, the play does not devolve into unalloyed issues of black vs. white. It is more subtle than that, more textured, truer to life. Lena’s smart, strong-willed, defiantly atheistic daughter Beneatha (finely nuanced by Mildred Marie Langford) is taking the measure of two suitors – a wealthy, smug sexist (Justin James Farley) and a Nigerian (Daryl Satcher) with a poetic sensibility and a ready word of criticism for Beneatha’s denial of her cultural roots. Walter’s long-suffering wife Ruth (the empathic and appealing Toni Martin) just wants to have a prettier place to live. Lena, seeing how her impulsive step has distressed her son, makes a conciliatory gesture that changes the whole game. Or so it appears. But sure things are not only the stuff of ill fortune in Las Vegas, and crises have a way of pulling a family together. 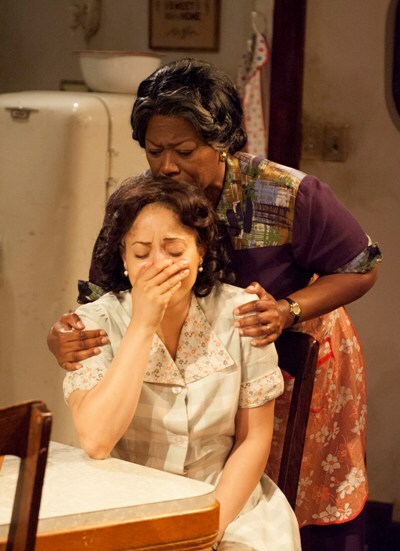 So it happens with “A Raisin in the Sun,” where in the end noble aspirations and righteousness seem to prevail. From the vantage point of a half-century later, we see a dream still in progress. The Neighborhood Improvement Committees of America are still in session.